I’ve completed seven chapters of Immortal, approximately 40,000 words. Currently revising those chapters for the umpteenth time before moving on with the story. It’s shaping up to be a layered and massive epic fantasy with political intrigue, character conflict, detailed magic system, and riveting battles. I hope to have the first draft out of the way by October. 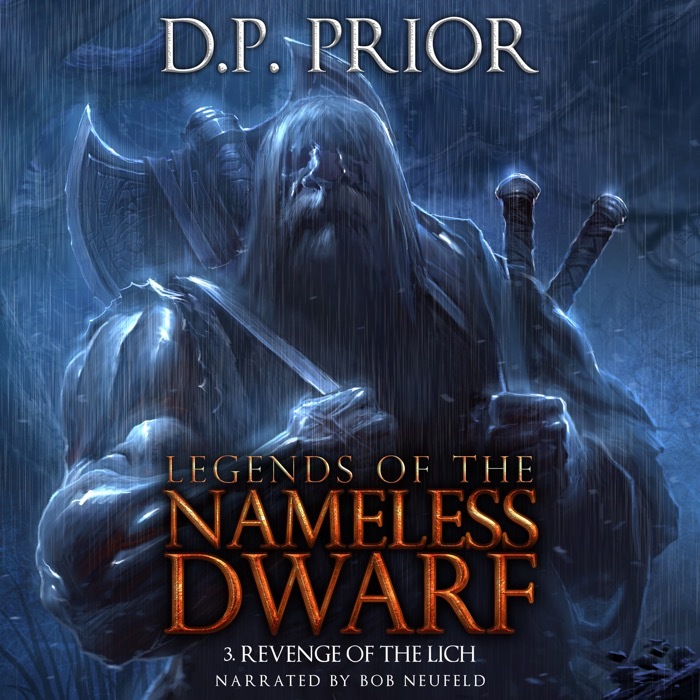 Bob Neufeld has made excellent progress on the audiobook of Legends of the Nameless Dwarf: The Complete Saga. 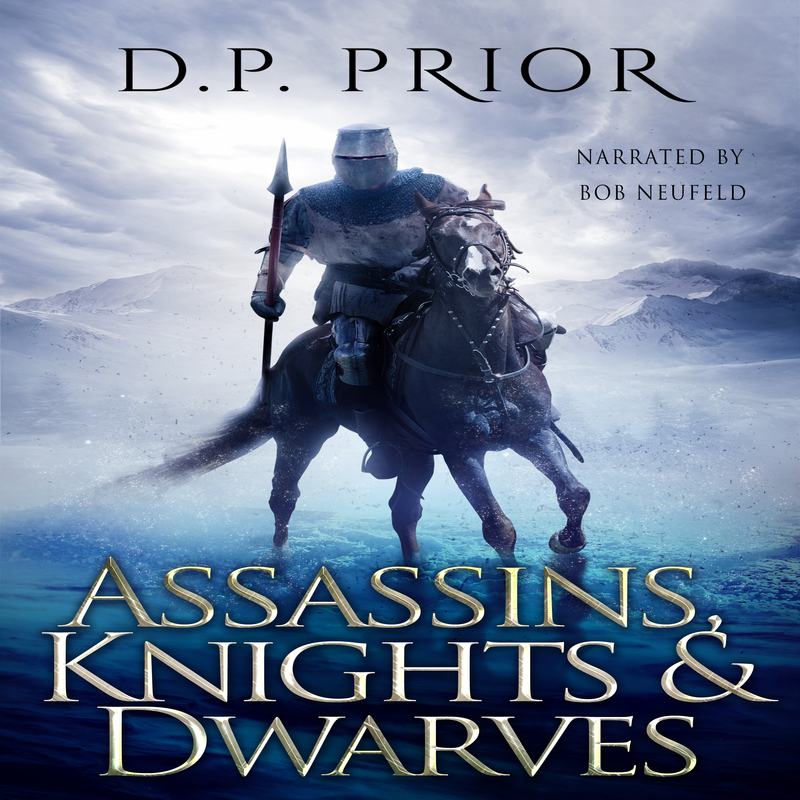 He’s currently working on book 3 out of 4, so the audio version should be ready within the next couple of months. 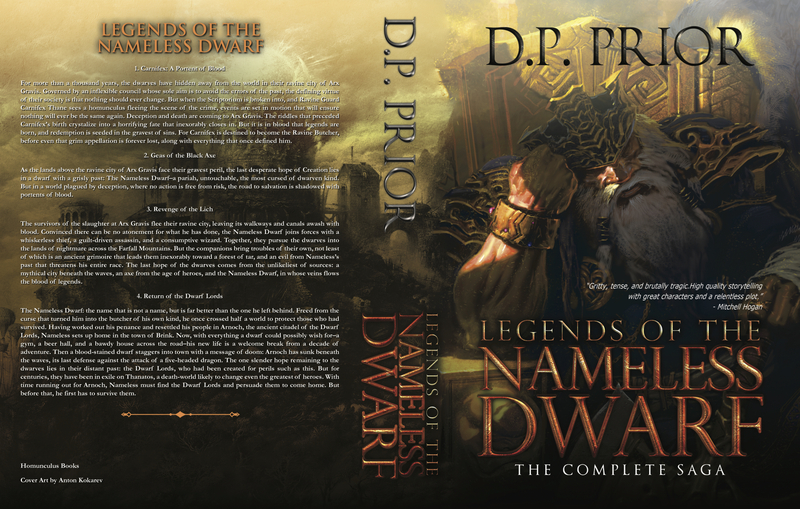 Paperback of Legends of the Nameless Dwarf. This is a massive book of more than 800 pages, and at $29.99 is by far the cheapest way to read the entire series in print. NIGHTMARES’ MAN: A rebranding of 2014’s Husk that should appeal to a broader segment of the market. 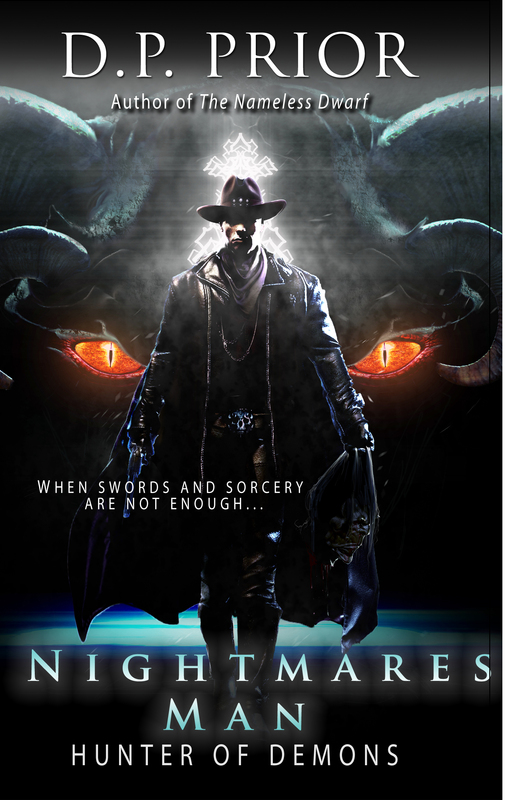 The original, Husk, remains on sale, with the ebook using the Damonza cover as opposed to Anton Kokarev’s iconic artwork. The audiobook of Revenge of the Lich is now complete. Sample is live on Amazon. The audiobook should be available any day now.